Man Utd forward Wayne Rooney will reportedly have to take a £150,000-a-week pay cut in order to secure a return to Everton this summer. The 31-year-old struggled to establish himself under Jose Mourinho last year, and in turn it has led to widespread suggestions that he could be on his way out of Old Trafford. It would seem like a natural time for it to happen given his decline, lack of playing time and the fact that he became the club’s all-time record goalscorer last season. According to The Daily Mail, the most likely scenario has now become a return to Goodison Park, although while he currently earns £300,000-a-week at Man Utd, he will be expected to take around £150k-a-week back on Merseyside. That’s still a significant deal as far as Everton are concerned, and some will raise their eyebrows at that given he has seen a real drop in his performances over a consistent period of time which is only natural and to be expected. However, it’s added in the report that Man Utd will have to pay up for the final season of his contract too which is going to prove costly as they’ll have to shell out more than £15m to get him off the books this summer. 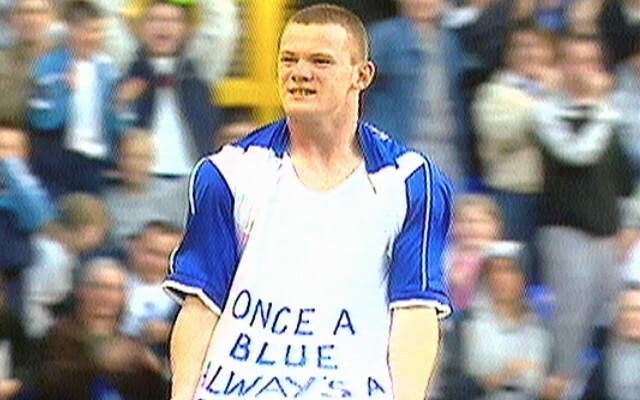 With Romelu Lukaku now expected to move in the opposite direction to United, Rooney’s path back to Everton seems set as part of the same deal. Many will argue that the England international is still too good to have a bit part role and has plenty left to give, and perhaps a return home would allow him to force his way into Gareth Southgate’s plans for the World Cup next summer too.